Want to give you an update about my Pink Manicure. It's quite simple and not usual for me. I usually always wear pastel color on my nail. I think this is the first time I wear Red as a based color. It's quite simple and easy. On my last manicure, there is so many people comment that they don't have any skill in nail art. So for this week I decided to create something simple but still fashionable and chic. Basically I only use 2 color. I use Sally Hansen Xtreme Wear in shade Pucker Up which a red cherry color. I only have few nail polish in Red. I am in the mood of find more dark nail color like purple, blue, red, etc. Do you have any recommendation ? please let me know on the comment down bellow. And by the way... I really like Sally Hansen Xtreme Wear nail polish. The pigmentation is really good, I only need 1 coat to get the true color. Really recommended this nail polish. You can found it at Watson or Guardian. On tip of my nail, I put transparent nail polish with silver glitters. I use NYX Girls nail polish in shade Grand Canyon. 1. 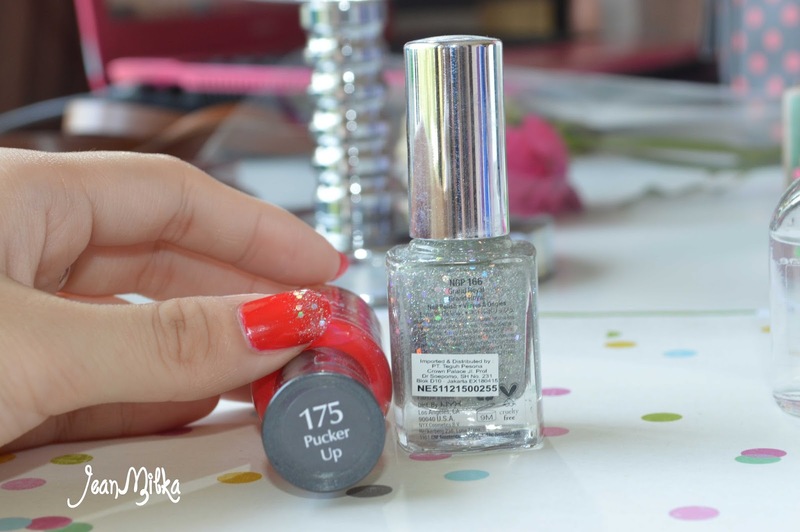 Paint your nail in one swap from the top to the tip until it's cover your nail. Don't swap it like you doing drawing. 2. 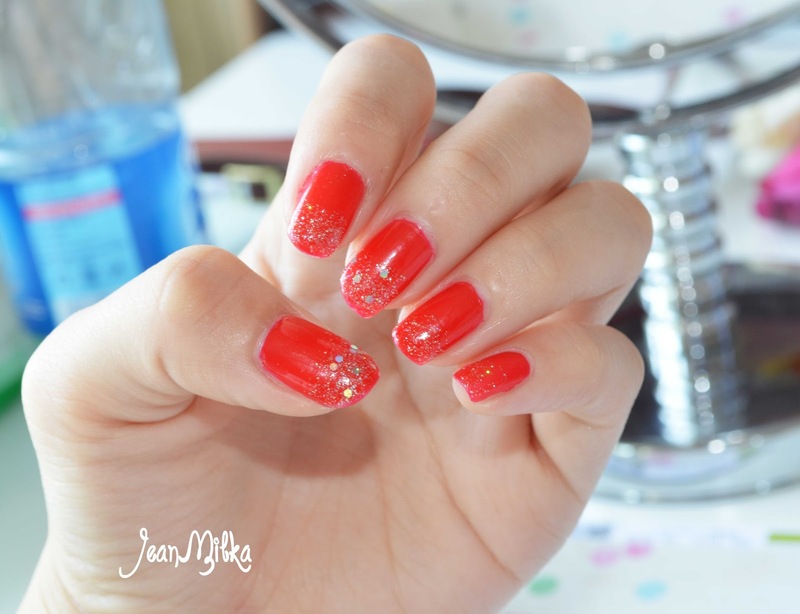 When you paint your nail, take couples milimeters as gap from the top of your nails, since we have cuticle. 3. Choose based coat and top coat based on your needs. 4. For cuticle, you can just push your cuticle back while you are showering. No need to spent so much money for cuticle product and tools at beginning. That is all for this Pink Manicure post, I hope that this post will be useful for you. If you want to know more about nail polish, don't hesitate to ask me. 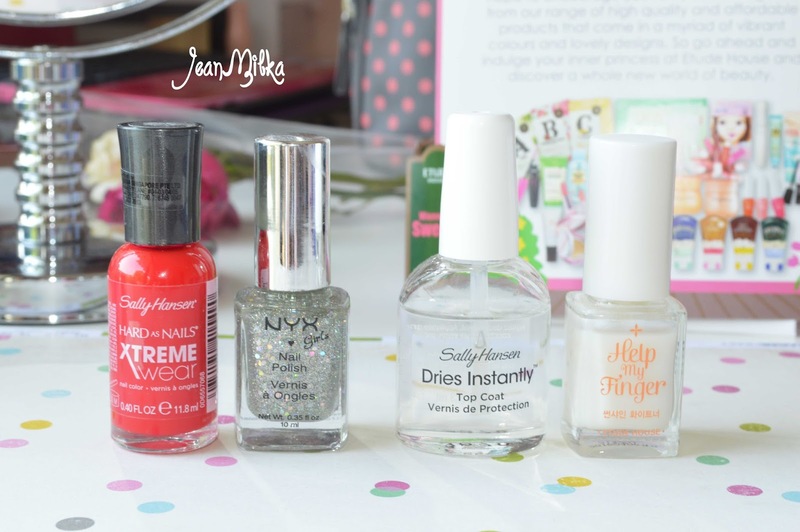 Reader : Do you know any online shop that sells nail polish and nail art tools? I want to learn more nail art like nail strip or nail stone. Please let me know on the comment down bellow. I will really appreciate your recommendation. 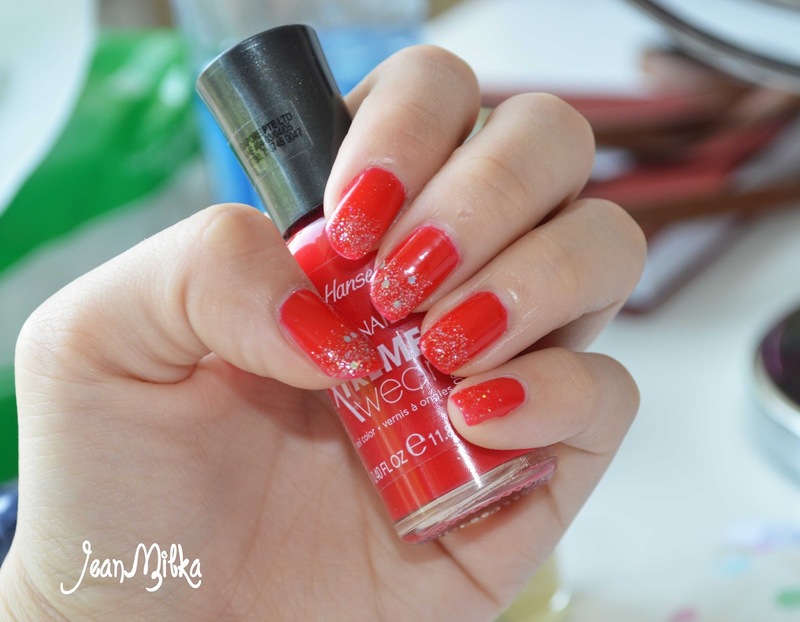 4 komentar on "Pink Manicure : Glamorous Cherry Red ft Sally Hansen & NYX Nail Polish"
I love your nail polish its gorgeous!